Generic drugs are equivalent to original drugs. A drug’s generic name corresponds to the name of the active ingredient (chemical substance) responsible for the drug’s effect. For example, Tylenol® is the brand name of the original drug, but the substance responsible for the therapeutic effect is acetaminophen. As such, acetaminophen is the generic name of Tylenol®. 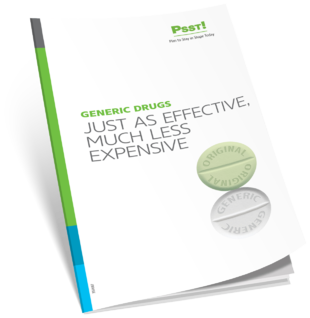 Today, over ten companies market equivalent but less expensive generic versions of Tylenol®. That’s the essence of the generic drug industry: providing products that are just as effective and safe as original medications, but at a lower cost.